Our HipChat integration lets you easily share a FullStory session note to a specific room in HipChat for further discussion. 4. Click the Authorize button to connect FullStory to your HipChat account. 5. Enter your HipChat login information when prompted. 6. Choose the HipChat room in which you&apos;d like notes to be shared. 7. Approve FullStory&apos;s access to your HipChat account. 8. After approving, you&apos;ll be redirected back to your FullStory account. 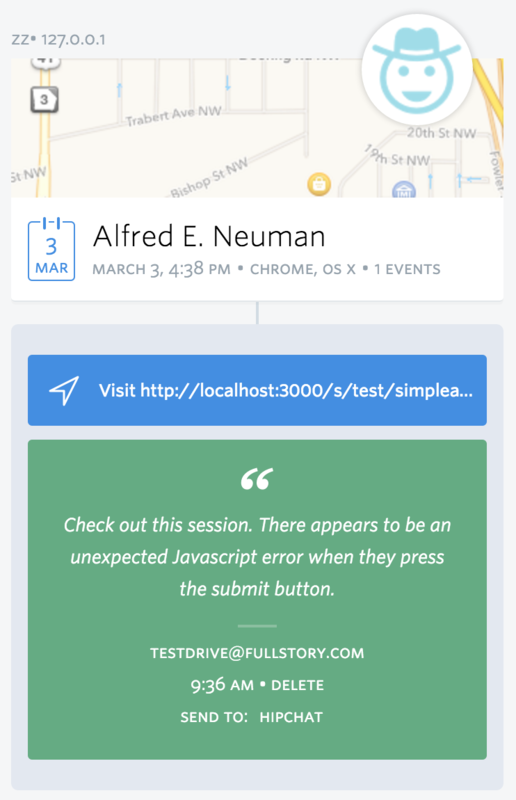 Now, when you create a note on a user session in FullStory, you&apos;ll see a link to send that note to HipChat. You&apos;ll also notice that you have some additional options in your HipChat integration settings. 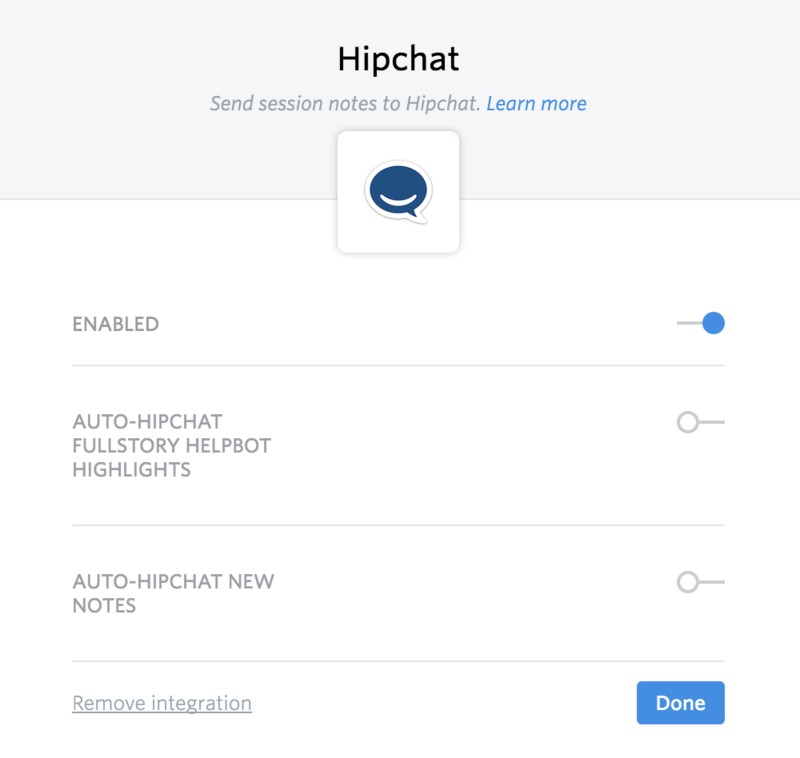 You can choose to have FullStory automatically share session notes to the designated HipChat room (rather than only when you manually choose to share them). You can also have FullStory share helpbot notes to the designated HipChat room. You&apos;ll see these options in the HipChat section of your Integrations & API Keys.